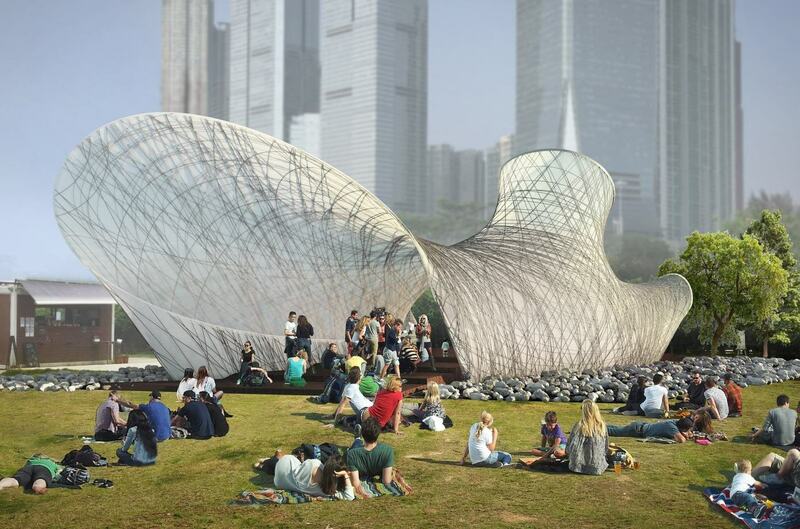 In the spring of 2017, the West Kowloon Cultural District Authority (WKCDA) organised a competition to develop a Temporary Pavilion, located within the Nursery Park at the West Kowloon Cultural District. 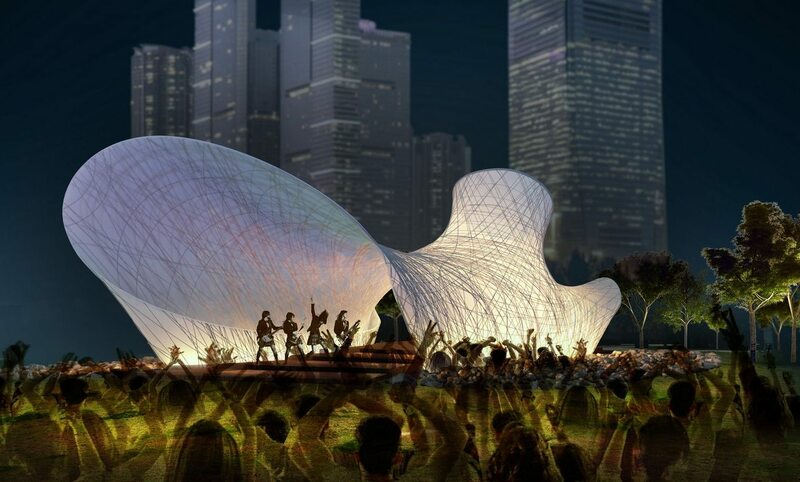 The goal of the competition was to provide an innovative architectural space to be enjoyed by the public and to raise tje profile and visibility of WKCD is a project for Hong Kong people. Located near the waterfront, the site provides views across the harbour and is a natural congregation point for the public. The pavilion was to act as an informal space where the public can sit and relax, and was to be capable of being utilised as a venue for talks, workshops or small events and potentially hosting small performances. 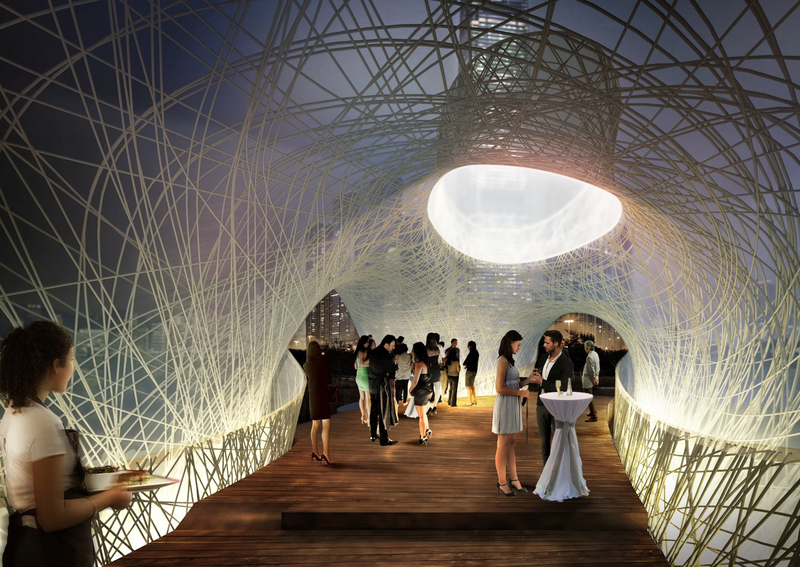 LEAD responded to this brief by proposing a hyper light-weight temporary structure with unique architectural qualities, made from ‘objets trouvés’ (found objects) like fabric and aluminium tent poles. The design is conceived is an ideal meeting place for visitors, hosting a variety of flexible programs, events and activities. Its playful and dynamic geometry sparks an iconographic moment across the West Kowloon harbourfront. Its massing, orientation, and openings align with the city’s sun path and site circulation networks. 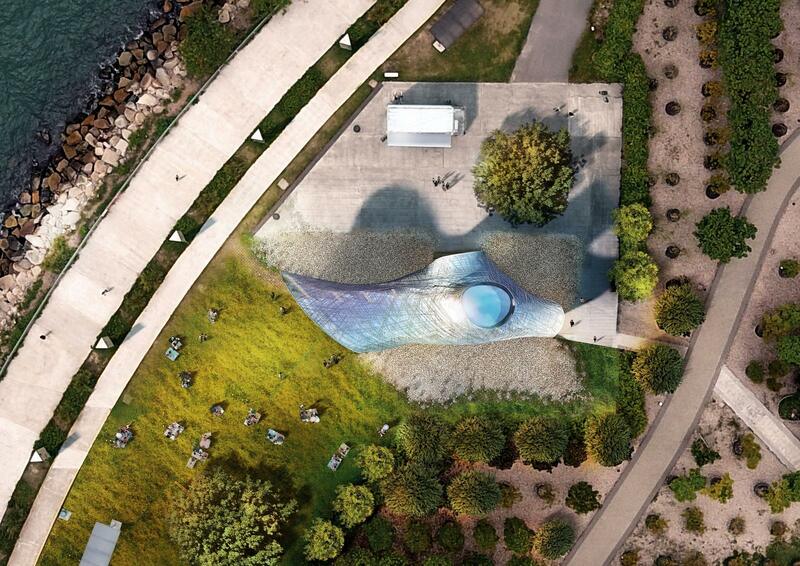 Visitors find a sheltered space to gaze across the waterfront while enjoying public activities and programming. In dialogue with temporary architectural additions found ad-hoc in Hong Kong canopies, enclosures, and shelters, this pavilion combines straightforward low-tech on-site craftsmanship with innovative computational design and engineering power for the invention of a new event space. 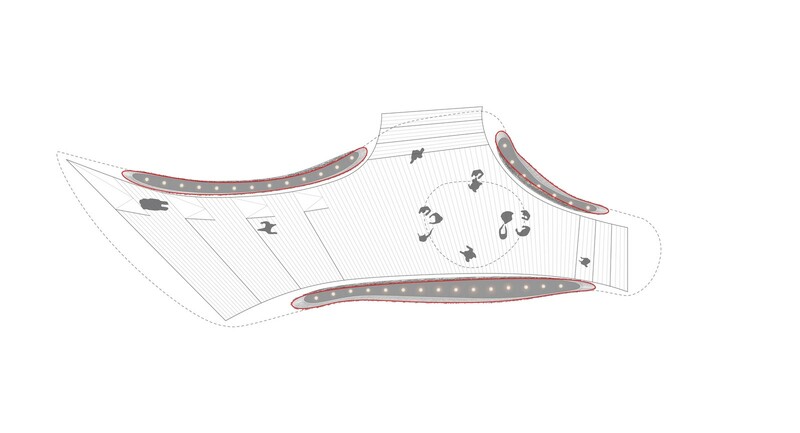 The organically-shaped tension membrane creates an elegant shelter and podium area that activates the surrounding landscape. 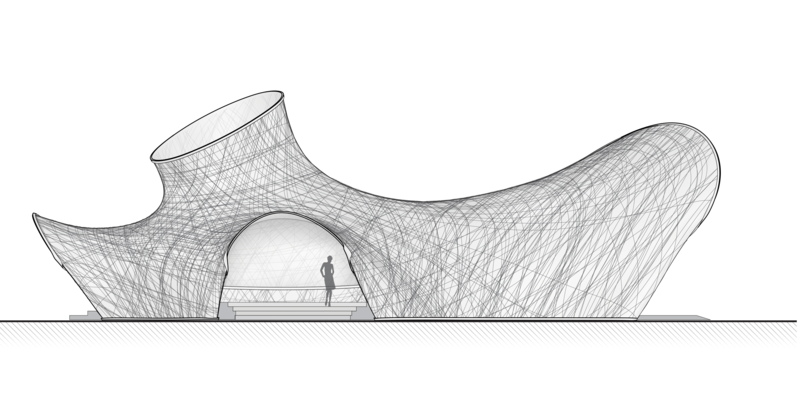 By bridging digital technologies with the limitations of practice, its architecture links design methodologies with the realities of professional practice, construction materials and on-site skills. LEAD’s proposal was selected as one of the highlighted entries.